The high school football season begins Friday for Posen and Onaway. The Vikings host Brimley, while the Cardinals are at Pellston to kick it off. It seems like the shortest preseason for any Michigan High School Athletic Association sport. Practices start, Aug. 7 in the state, and here it is 17 days later, and it is time to play football. Ready or not, the nine-week regular season is here. Looking at the openers, on paper, both Onaway and Posen are taking on schools that have had poor records since 2013. Pellston has won only one game since August 2013. In that time span, the Hornets are 1-33. The only win came against Brimley, who is Posen’s opponent in the 2017 season opener. Brimley’s record is not as bad as Pellston’s, but they did not play as many games because the Bays did not have a football team in 2016. The year before, they were 0-9, and before that, 1-8. 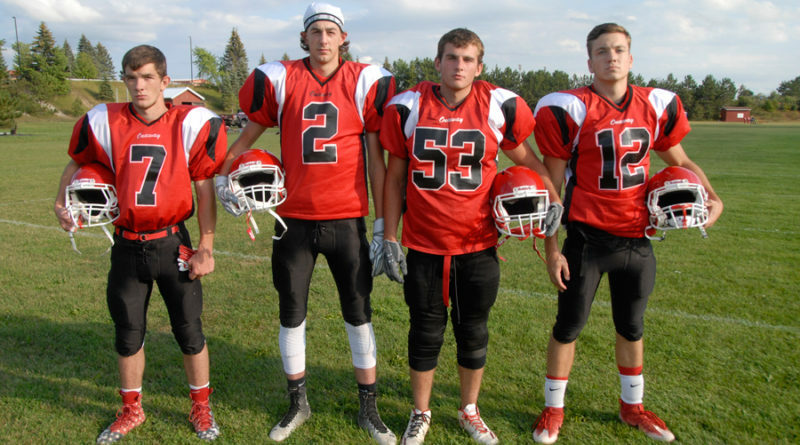 The only win in 2014 was a forfeit victory, so Brimley has not won an actual game since the 2013 season, but it happened to be against the Posen Vikings, 40-19. Posen head varsity coach Greg Pietsch is not taking Brimley lightly. “We are expecting a really tough ballgame,” said Pietsch, following Tuesday’s practice. “I know Brimley has not played a varsity game in a couple of years, but I know they have some athletes there.” In the eight-player game, that can be all the difference. Posen hosted a scrimmage last Friday against Atlanta, and coming out of that, Pietsch said there was still a lot of work to be done. Since 2010, the Vikings are 3-4 in season opening games, including the last two straight over Flint Michigan School for the Deaf and Stephenson. All four of the losses came to Cedarville, Posen’s week two opponent. 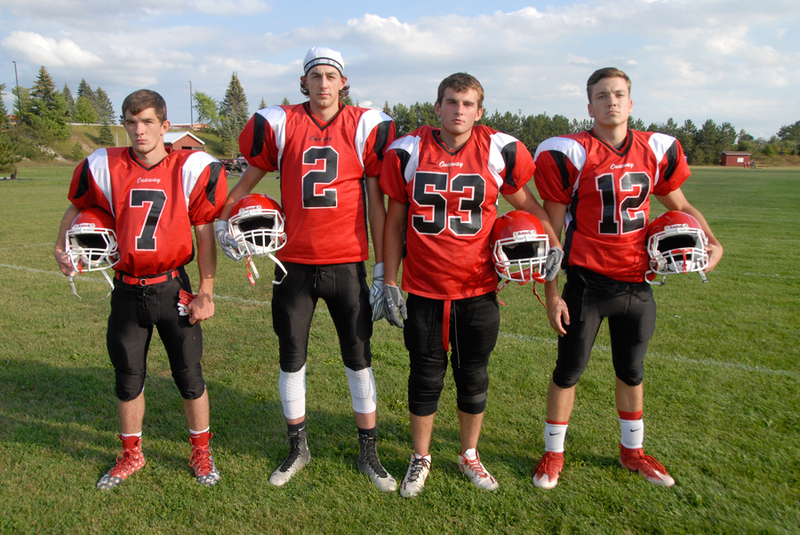 Game time Friday is at 7 p.m.
Onaway begins its third season playing the eight-player game and are 10-8 so far. They almost made the playoffs in their inaugural season, but a tough home loss to Pickford brought the 2015 season to an end. Head varsity coach Jim Cleaver would have liked more time to prepare for the opener, but his squad, led by a talented group of seniors, is as ready as they are going to be. “We’ve worked hard the last two weeks and we are ready!” said Cleaver. The coach would like to have another winning season and claim the school’s first playoff win since 1976. The Cardinals last playoff game was Oct. 26, 2012 against Central Lake, 22-12. Onaway’s all-time record against Pellston is 24-2. They have won eight straight against the Hornets. Game time in Pellston is at 7 p.m.